Carbon Credit Capital welcomes Nashville-based social impact technology company Hytch, LLC to our family of brands offering carbon neutral products and services. Hytch Rewards: Financial Incentives to Ride-Share, Alleviate Traffic Congestion, Improve Air Quality, Build Community in Urban Areas.  In early February 2018, Hytch, LLC launched an application for iPhone and Android called Hytch Rewards. The app tracks, validates and rewards shared miles each time two or more people track their ride. Users are rewarded for all forms of ridesharing, including carpooling, ride-hail services, or even public transit like the bus or train. Hytch has already rewarded over 750,000 Vehicle Miles Not Driven (VMND). That's equivalent to saving 14,900 trees, or avoiding 220 tonnes of CO2 emissions from vehicle use throughout Tennessee. Hytch rides are inherently carbon neutral. Each time at least two people share a ride, the miles not driven by the passenger offset the miles driven by the driver. Hytch Rewards' methodology suggests that when three or more individuals track their shared miles, the ride is carbon negative. Miles not driven by three passengers individually avoid more CO2 than the single trip of three passengers emits. Despite this impact, Hytch has chosen to go one step beyond incentivizing and tracking neutral rides by partnering with Carbon Credit Capital to voluntarily offset the direct emissions from miles that are actually driven. The nature of our partnership yields itself to Carbon Neutral Checkout® beautifully. Now, every carpool, bus, and train ride tracked through Hytch Rewards will be undeniably carbon neutral, and arguably carbon negative. Hytch has preemptively offset the first 2 million miles driven and/or logged on the app, and will continue to offset the unavoidable emissions driven on their network as it grows, in intervals of 1 million miles. The project delivers zero emissions renewable electricity to India’s national grid. The wind power project consists of 16 turbines, each with a capacity of 2100 kW. The project improves air quality in local communities by avoiding solid waste normally associated with coal-fired power plants.